All-Natural Almond Butter is a blend of roasted almonds – perfect for a protein-packed snack you can enjoy any time of the day. Free from added salt, sugar, palm oil and preservatives, this cupboard classic is the sweet and simple way to keep your training on track. 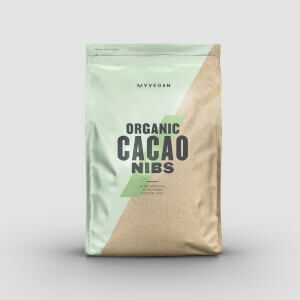 It’s a plant-based source of protein, which helps grow and maintain important muscle1 — great whatever your training goals. And, it’s an excellent source of dietary fibre — a key part of a balanced diet. 2. Magnesium contributes to a reduction in tiredness and fatigue. 3. Vitamin E contributes to the protection of cells from oxidative stress. When to enjoy All-Natural Almond Butter? Get it in Original Smooth, Crunchy or sweet Coconut and enjoy this delicious and nutritious snack anytime to top up on protein. 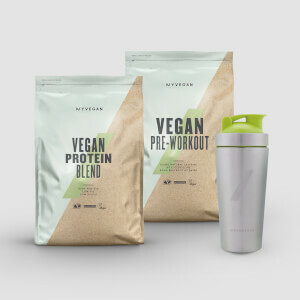 Blend into your post-workout shake or try a spoonful in your next stir-fry for a mid-week boost. What to enjoy All-Natural Almond Butter with? All-Natural Almond Butter is a tasty way to keep topped up on protein. But, for an extra push to reach your fitness goals — try Impact Whey Isolate, one of the purest proteins around. Some separation of oil is natural, simply stir back in. Store in a cool, dry place. Once opened, best consumed within 3 months. Produce of more than one country. For allergens, see ingredients highlighted in bold. May contain other nuts, peanuts and sesame seeds. Crunchy: Almonds (100%) (Whole skin on). Smooth: Almonds (100%) (Whole skin on). Coconut Flavoured: Roasted Almonds (whole skin on) (70%), Coconut (27%), Honey. The nutritional information is based on the Crunchy version, when choosing an alternative flavour the nutritional values may vary. Smooth and Crunchy almond butters with no added sugar or salt. I love nuts (not like that) and I love peanut butter. Weirdly this almond butter is like peanut butter but tastes more like almonds than peanuts. It's quite a bit thinner than peanut butter but with nice crunchy bits in too. I line my breakfast bowl with it or have it on porridge with honey. Well nice. 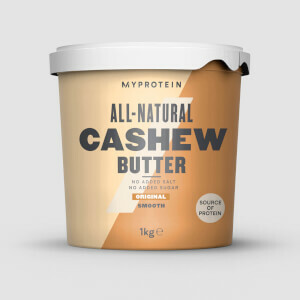 Best price I could find for 1kg of it is here on myprotein and considering the serving you get from this it's worth the extra for a change from the old peanuts. Good review that. Why did you change it?? I've just received a pot of smooth almond butter. The colour and taste changed quite badly. Why do you keep changing everything what was good before. Bought this cruchy almond butter after getting fed up of spending so much money on the tiny jars in the supermarket. Is tasty, nice texture, not as oily as the supermarket ones which is good. Have bought another two kilos as it's so tasty! I only eat it for breakfast with bread and very thin layer of jam and with glass of milk. It's awesome, I have: - more energy in school, - better cognitive function (maybe because of good fats, calcium and cooper) , - gained some muscle mass. I'd recommend it for everyone, if you're trying something new and healthy because it's awesome and super delicious. This Almond Butter is off the chain! The crunchy almond butter tastes unbelievably good. The crunch is just right, it spreads well, is well mixed (no oil floating on top!) and can easily be blended into a smoothie to give it some oomph. 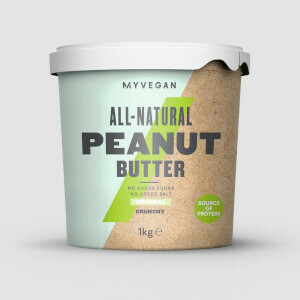 Nut butters are, obviously, awesome. But of the three that MP sells, this Almond Butter is hands down the best. It never lasts long in our house! This almond butter/cream has an amazing taste. Really happy about this product! This it awesome mixed in porridge, on crumpets or cooked with water and spices like a satay sauce. Great source of protein and good fats for us skinny veggies that get bored of protein powder too! Body builders could make a satay sauce to go with their chicken and rice.